First we covered the tables with newspaper, because the project gets a bit messy. 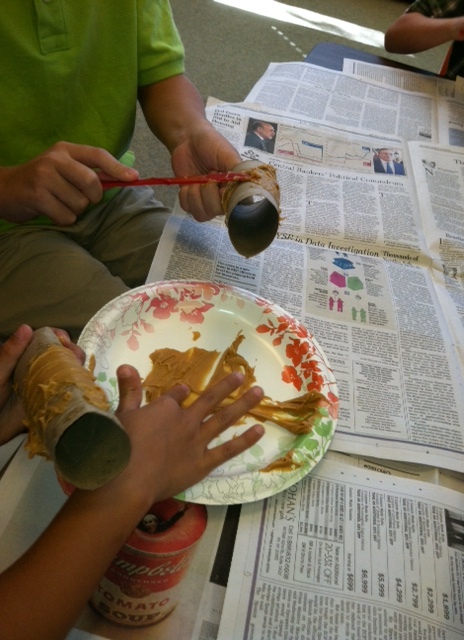 Then the kids used plastic knives to cover their tubes with peanut butter. 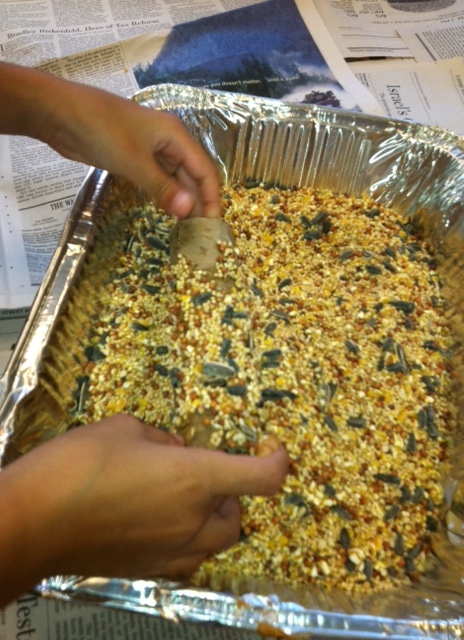 Next, they rolled the tubes in bird seed, which I had poured into aluminum pans. And then they were ready to hang! They just slip right over a branch. 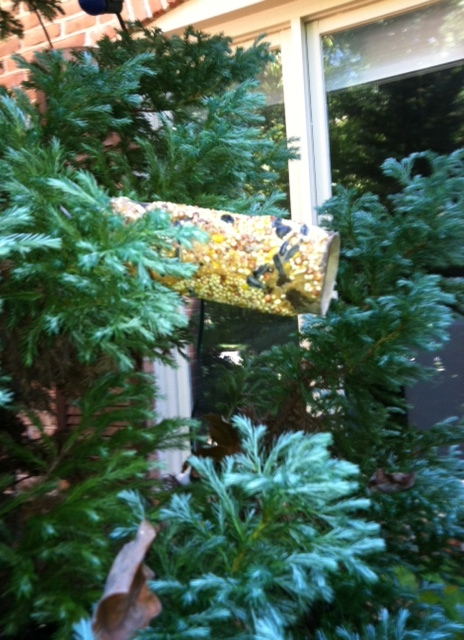 A very easy project, and the birds in our yard took right to them. 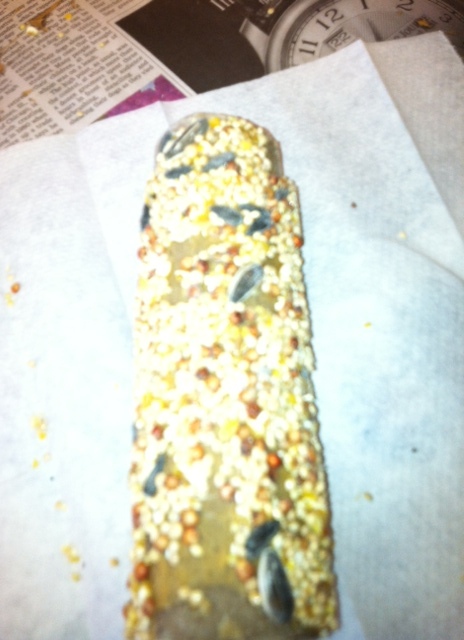 One thing worth mentioning though: The tubes do turn soft under the peanut butter, so you need to put them out on the branches ASAP. 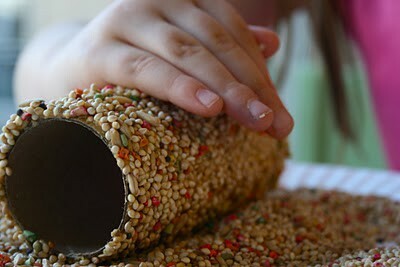 It may not be as pretty as one of those store-bought feeders that looks like a gazebo, but the whole thing is biodegradable, so once you put it out, all you have to do is watch.